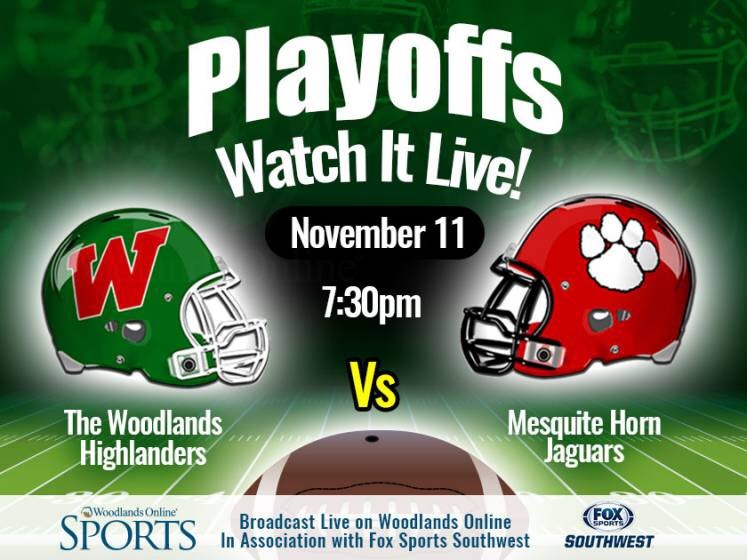 In the first playoff game of the 2016-2017 Texas High School Football season, The Woodlands Highlanders will be playing Mesquite John Horn Jaguars at Woodforest Bank Stadium at 7:30 PM. They earned their home field advantage by winning District 12-6A. The Woodlands Highlanders Varsity Football Team is led by Head Coach Mark Schmid, his star senior son Eric at quarterback, and a swarming, dominating defense. The Highlanders Football Team completed the regular season undefeated. They ended the season dominating every team down down the stretch after an exciting offensive shootout with Lufkin. 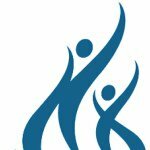 Going into the playoffs, The Highlanders are the top ranked high school football team in the Houston area. They rose to #2 in Maxpreps Texas poll and #15 in the MaxPreps Freeman USA Rankings. The game, a sure sell-out on The Woodlands side, will be broadcast LIVE on Woodlands Online Sports in association with Fox Sports Southwest. The game is proudly presented by Team Sinisi Real Estate Group beginning at 7:25 PM Friday. Don’t miss the Best of Texas High School Football – right here in our hometown! Live in HD!